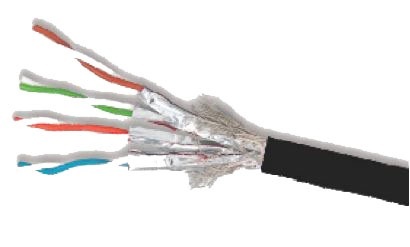 The "shield" on these cables act as a barrier to protect the signal integrity from electrical interference or, EMI and provides very little loss. There are a variety of acronyms that are commonly used. Before we get into the types of cables, its important to know what the letters mean. These acronyms were established by the ISO/IEC 11801 standard and adopted by TIA/EIA. Want to learn more about our category cables? Check out our product videos or view more on our resource center or website!